Video is visually stimulating: Today’s consumers have the attention span of a goldfish, which means marketers need to do everything they can to earn and keep their attention. Video adds movement and energy to the viewer experience, preventing the boredom that’s often associated with reading long blocks of copy. Video tells a story: Video allows you to craft a narrative about your brand and guide the viewer through it. Sure, you could tell a story in copy, but 72% of people would rather learn about a product or service in video than text. Video increases retention: Readers retain 10% of information when reading, while video viewers retain 95% of a message when watching a video. If you want your consumers to retain your messaging (isn’t that the ultimate goal, after all? ), it’s better to use video than text. Video is effective: 85% of businesses say video is an important part of their marketing strategy. One of the businesses seeing major success with video is Australia’s public transit system, Metro. They crafted a public service announcement with a custom, catchy song to raise awareness about train safety. Not only was there a 21% decrease in deaths and accidents over the first year of the campaign, but Metro earned global media attention. They sold more than 100,000 copies of the campaign’s song, “Dumb Ways to Die,” and the campaign video has earned more than 171 million views on YouTube. See what all the hype is about and watch the video. Video is versatile: As we’ll explore in this post, video is an incredibly flexible media, giving you the opportunity to fine tune the viewer experience with music, voiceover, and many different types of animation. With video, you’re only limited by the boundaries of your imagination. As you’re thinking about your next video, consider the vast number of techniques you have at your disposal, including many different types of animation. While there are dozens of animation styles, there are six that are especially popular. We’ve overviewed each type of animation below and included awesome examples to inspire your video process. 2D animation, the most commonly understood and traditional form of animation, is the process of creating images in two-dimensional environments. Animators then rely on two dimensions – width and height – to tell a story. Since its invention in the late 1800s, 2D-animation technology has empowered animators to take this type of animation to a whole other level. To see just how far this medium has come, consider the quality difference between the first fully 2D-animated film, “Snow White and the Seven Dwarfs,” and modern 2D-animation examples like The Simpsons, Family Guy, and these four killer videos from leading brands. Airbnb shows the true power of video storytelling in this moving (and true) story of an Airbnb guest. The guest, who is also the video’s narrator, tells the story of her father, a Berlin Wall guard during the Cold War. Decades later, she took her father back to Berlin so he could replace his wartime memories with new experiences in a vibrant and rebuilt city. But the biggest twist takes place when the two knock on the door of their Airbnb. This touching story, which has earned more than 6 million views on YouTube, tells the emotional journey of a family, the burden of war, and the power of healing – all in just over one minute. It shows the potential of video to connect with viewers, and the ability for artistic animation to enhance a story in ways static images and text can’t do alone. Just like burgers and fries, Mario and Luigi, and peanut butter and jelly, dads and cars are an infamous pairing forever linked together in popular culture. Ford leveraged the power of this dynamic duo to share a customer story similar to Airbnb’s approach, but this time with a much more humorous twist. Check out this animated short that uses a colourful yet simple animation style to add visual interest and make this already memorable story even more compelling. England’s National Health Service has always been committed to improving the lives of patients. However, in 2016 the organisation partnered with local councils across the country to radically improve patient care. NHS wanted to publicise these unique collaborations and their plans to impact communities around the nation, so they created this charming, informative video to raise awareness. It’s a great example of how to use animation to not just tell a story, but to drive a business initiative as well. 3D animation adds a third dimension – depth – to the animation equation, creating a highly dynamic animated environment that empowers marketers to craft realistic settings, characters, objects, textures, and lighting to vitalise their videos in new ways. Most of the modern animated movies you’re likely familiar with use this animation style; “Moana,” “Frozen,” and “Coco” are just three of thousands of 3D-animated movies created in the past several years. To see how brands are using this animation style as part of their video marketing strategy, check out the stunning examples below. Heinz not only tells an uplifting story that somehow (even shockingly) weaves together a tale of true love with their canned beans in tomato sauce, but they do so via 3D animation gold. Keep an eye out for the details – the way light from the nearby window reflects off a picture frame, the use of shadows to create depth, and the intricacies of the video’s textures like the mosaic kitchen countertop, the wood-grained doors, and Geoff’s loveable red hair and freckled cheeks. Heinz shows brands around the world how to do 3D the right way with this video treasure. In a world where communication happens in a nanosecond, Yellow Ribbon wanted to bring nuance back to the experience of sending and receiving messages. Their app allows users to recreate the long lost art of letter writing by sending messages to loved ones and placing them in physical locations for pickup. Their video’s style pairs 3D animation with a low-poly, geometric illustration style that replicates the feel of folded paper – a perfect choice for a company bringing back the art of hand-crafted messages. As you can imagine, Nike pulled out all the stops for their 2014 World Cup promo video. Check out this high-intensity short, and as you do, pay particular attention to the complexities of their scenes; staggered cityscapes and crowded auditoriums are no easy animation feat, but just as expected, Nike delivers with the skill of a champion. As you’re watching, consider how complex it might have been for Nike to produce this video using live-action footage, and why they opted for animation instead. Stop motion is an animation technique through which physical objects are moved in small increments and individually photographed so that, when watched in rapid sequence, they create the feeling of movement. While this type of animation has been around since the late 1800s, it was made popular in the mid-1900s with some animated classics like “Rudolph the Red-Nosed Reindeer” and “Gumby.” Modern examples of stop motion include Wes Anderson’s latest film, “Isle of Dogs,” and the three dynamite examples we’ve included below. Did you know most ideas at Honda start out on paper as a simple sketch? That’s why Honda decided a stop motion piece featuring paper as the primary medium was the right technique for telling this six-decade story. Their video, reminiscent of a children’s pop-up story, a flip book and an advent calendar all in one, was originally concepted and tested with computer graphics and then moved to a physical format. It features thousands of hand-drawn illustrations, dozens of different materials, and 60 years worth of Honda innovation. For more, take a look behind the scenes at this video, which shows just how the creative team brainstormed and shot this piece. Who knew human resources could be so artistic? In this stop motion video, Eurofirms, a Spanish HR firm, uses dozens of physical materials – ribbon, paper, office supplies and more – to add life to their corporate video. They then layer on 2D statistics to reinforce key messages and add another dimension of visual interest. This video is a great example of how playing with different techniques can add life to an otherwise bland subject. Introducing one of the goofiest videos on our list: Cravendale’s “Last Glass” television ad. In this stop-motion commercial, a milk-obsessed trio runs out of Cravendale and has a competition to see who gets the last glass. It’s quirky, cute, and full of character, and it proves the value of playing with different animation styles. This video in a 2D style just wouldn’t have had the same charm as the stop motion version. John Lewis pushes animation to the edge with this video, which was created to promote the brand during the holidays in 2013. This animation style pairs 2D animated characters with a 3D stop motion set to create a unique and layered environment. Aside from its impressive use of multiple animation techniques, the John Lewis video tells a heartwarming story without a single line of voice over. Watch this awesome behind-the-scenes video to see just how much work goes into creating a stop motion set. Why choose between animation and live-action video when you can have both? This powerful combo allows marketers to show real-life situations, and amplify them with animation layered on top of live-action footage. Check out how three major brands are using the benefits of both popular techniques to create unique styles and compelling stories. If Paypal wanted to physically create the environment it illustrates in this animated and live-action combo video, it could have cost six figures. Featuring sharks, extra terrestrial burglars, ninjas and more, this video is dynamic in a way that would be complex and expensive with live footage. Instead, they opted to animate the perfect environment and use live-action footage of “Orange is the New Black” star Samira Wiley, creating a way to communicate about a tough topic – financial security – in a light-hearted way. Harvey Nichols wins the award for the most creative video on our list. They used actual in-store security footage and layered on quirky 2D animations to launch their customer rewards programme, prompting viewers to get their next freebies legally. Not only did this video promote their loyalty programme in a novel way, but it potentially helped ward off theft too. More wacky than Willy Wonka’s chocolate factory, Ribena creates a part-animation, part-live-action world in their “You Can’t Get Any More Ribenary” 30-second television spot. They layer animation on top of live video to fill their imaginary world with owls with laser-beam eyes, rabbits the size of houses, and birds in top hats. This trippy spot is entertaining and eye-catching to say the least. Motion graphics is a type of animated graphic design that usually features a lot of text and simple graphics. While traditional animated videos usually centre around characters and elaborate settings, motion graphics videos give life to stories that otherwise wouldn’t be visual, using shapes, graphics, and text to visually represent the story being told. As you watch these examples from three global brands, take a look at how even a simple approach to graphics amplifies the story being told verbally. Slack’s “Communication Without Chaos” is a perfect example of motion graphics. Their teamwide communication app solves tricky problems that aren’t best represented by animated characters in an office setting. Instead, Slack opted to refine their message into 2D moving shapes that elegantly tie into the video’s script, proving that sometimes the simplest solution is also the best solution. Abaninja combines 2D animation with motion graphics to perfectly tell the story of their accounting SaaS product. They use animated characters to make their story relatable at the onset, empowering viewers to empathise with the video’s characters. Later, they blend in simple motion graphics to focus on the product’s features and benefits – like data protection – that aren’t easily told through the eyes of a character’s experience. While arguably the simplest visual approach on our list, Shell also tells one of the most complex stories, showing the power of motion graphics to distill complicated ideas into easily understood visuals. But just because this video is simple doesn’t mean it isn’t brilliant. Take a look at the details in this motion graphics video. Their seamless transitions from one scene to another, the use of consistent line art, and the video’s bright colour palette create a vibe that’s all at once friendly and approachable yet professional and credible. Whiteboard animation is a type of animation that features the illustrator physically drawing the artwork on a whiteboard or other surface using pens and markers. This animation style became popular shortly after the launch of YouTube in 2005. Even back then, brands were attracted to the way whiteboard animation let viewers see the story come to life before their eyes, and they’ve kept coming back to this timeless approach ever since. For three great examples, check out the videos we’ve included below that show the potential of whiteboard animation to wow an audience and tell a story at the same time. 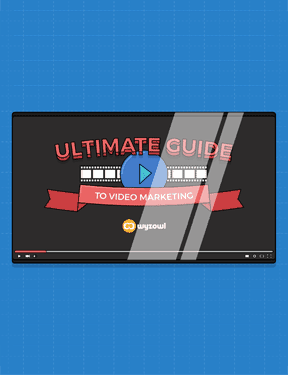 One of the problems many modern video marketers face is wondering how to keep a video engaging. In order for viewers to stay focused, they need to to be continually entertained – a challenge that means there’s got to be ongoing excitement on screen. This Elevations Credit Union video shows just how whiteboard animations can keep things interesting, literally bringing the story to life before our eyes. It also weaves in a few stop motion moments to leverage the power of both of these effective styles. Explaining the benefits and features of a digital product is hard. Aside from showing the software in use, it can be challenging for brands to sum up the perks of their product in just a few minutes – but IDShield shows it’s possible. IDShield pairs whiteboard animation with motion graphics to explain the ins and outs of their identity protection software. As you watch, take notice of how they use simple animations to describe their entire app in less than two minutes. When Northwestern Medicine wanted to spotlight their rich history and recent accomplishments in a single video, they opted for a whiteboard-style animation. In just three minutes, this video tells the history of their hospital system, leading up to their modern achievements. What we love the most about this whiteboard video is how they keep things interesting, using a variety of visuals and consistent movement to keep the viewer intrigued and engaged. We give it two animated thumbs up. The powers of these six types of animation are endless. From 30-second explainer videos to globally recognised feature films, animation has the power to tell stories of all shapes and sizes. As you set out to create an animated video, consider the following tips to determine the best type for your video. Consider your brand: Each of these types of animation has a certain feel to it, and you should determine whether the animation style you choose accurately reflects your brand. For example, if you have a highly artistic brand, perhaps a stop motion or intricate 2D animation video is right for you. Meanwhile, a futuristic 3D style might make sense for a high-tech or scientific company. Consider your competition: If you want to stand out from your competitors, take a look at what they’re doing and choose an animation approach that is different from (and better than) theirs. This differentiation will help you stand out amongst the competition and earn more attention and business from your customers. Consider your budget: Each of these types of animation comes with a different price point. While visually stunning, stop motion often requires a lot of resources; meanwhile, whiteboard videos can be a more economic approach. Be sure to have a handle on your budget before you select a style. For more information on how much different kinds of videos cost, check out our post on that exact topic.